Long Inquiry: The public inquiry into the minitown proposed for the Queen Elizabeth Barracks is likely to take up much of next summer. It starts at Aldershots Princes Hall on May 15th. Royal Marine: Former Fleet Schoolboy Neil Mehrtens, who went to Fleet Infants, Velmead Juniors and then Calthorpe Park, has qualified to become a Royal Marine. Missed Out: Star actress Raquel Cassidy has been named best actress in a leading roll in the 2006 Manchester Evening News drama awards. She could not pick up her award as she was busy filming a new TV series and could not be released. Buses Threat: Countrywide buses are under threat in the Fleet area due to subsidy cuts which are due to the fact that the services are not well used by the public. The 74 service between Elvetham Heath and Fleet will be axed on Jan 2 next year and the 72 Aldershot to Reading hourly service will be diverted through Elvetham Heath Estate. The 71 service between Fleet and Farnham railway station will be reinstated. FTCG Dissolved: The final meeting of the Fleet Town Centre Group has taken place. A vote to dissolve the group was passed without opposition. It is expected that members of the group will be able to apply to be committee members of the Fleet Business Partnership Group which has recently been formed. No Inquiry: An inquiry into the Hitchens Lane 300 homes development has been thrown out by the Liberal Democrat Hart coalition following advice that it would have lost a High Court appeal. Flying High: The Flying Goose pub on the Ancills Farm estate has raised more than £1,000 for the Phyllis Tuckwell hospice. The pub has recently been refurbished. Best Male: Fleet's world number one quad tennis player has been named joint winner of the Best Male Achievement Award at the 11th annual British Wheelchair Sports Awards in Reading. Poppy Appeal: The local Poppy collection raised £25,310 which was £1,532 or 6.4% better than last year. Fighting Fit: The Hart area has been placed equal third with Kensington and Chelsea in a UK survey of exercise levels. The winners were Richmond upon Thanes with Macclesfield gaining second place. Extended Hours: Despite local residents opposition the Emporium Pub in Fleet Rd has been granted an extra hours opening time until 2am from Thursday to Saturday. Still Flooding: Despite drainage ditches and culverts the recent heavy rain has caused flooding near the junction of Redfields Lane and (aptly named) Watery Lane on the Zebon Copse estate. 10 homes suffered flood damage in Du Maurier Close. Sun Raising: Sunrise Senior Living in Church Rd have raised more than £400 at a coffee morning. Manager Sue Collen said "It was a great event. Everybody got involved and we able to raise money for a great cause." Teenagers Honour: James Maull, 18, has been chosen by Mary Fagan to act as a representative of the Lord Lieutenant of Hampshire at official functions and ceremonies. The former Court Moor School pupil is a member of the 2407 Yateley and Eversley Air Training Corps. Poetry Winner: Sue Lattey, who lives in Fleet, has won the international "Help the Hospice" poetry competition. Her poem "Fred is Dead" was written in 2000 while she was studying palliative care. Bottled: Bottle collections are to begin in Fleet for the first time this week. Green recycling crates have been issued to every resident. £168,000 has been spent on two trucks to collect the glass. No Barn Conversion: Plans to turn barns at Cross Farm, Church Crookham into rural workshops have been turned down by Hart councilors. Four Star Toilets: The Welcome Break sites at the M3 have won four stars in the Loo of the Year Awards 2006. Better Safe Than Sorry: Free Bike postcode marking by the police will be held at Calthorpe Park school on December 14th 2006 between 6 and 9pm and on the 1st February 2007 at the same times. Well Done: A well provided by Fleet Rotary Club at the Hart Centre has raised £10,128 for charity. Since it was put there in 2004 290,000 coins have been put in it. Long Life: Boys born in Fleet should look forward to live until they are 80 according to recent information from the National Office of Statistics. Star To Switch On Lights: Fleet actress and star of BBC's "Lead Balloon" Raquel Cassidy is to switch on this years Fleet Rd Christmas lights at 6.00pm on Wednesday 22 Nov to open this years Fleet Festivities. Pub Backs Down: Canal-side pub The Fox and Hounds who had applied for permission to stay open with live music until 1am from Mon to Sat have reached a compromise after Hart Council received over 40 complaints from worried residents. The pub agreed to only have music up to 12 midnight on one night a week. Up In Smoke: Fleet Lions have raised £8,000 from their annual fireworks display. 4,000 people watched the £3,000 display which lasted for 30minutes. Light Up The Hart Centre: Fleet Lions are inviting people to remember loved ones by buying a Christmas tree light to put on the Centre's Christmas tree. For each donation the Lions will send a personal dedication card. For more details write to : Light Up A Life, Hart Lions Club, c/o 27 New Road, Blackwater GU17 9AY. Star Turn: Former Southampton striker Adam Walker has signed for Fleet Town to help their bid to win promotion this season. Fleet are currently second by one point to Dulwich but with a game in hand. Sation Improvemants: Fleet Station is to benifit from government funding to give passengers an obstacle free accessible route from station entrances to and between platforms. Humbug? : Richard Noble of Kenilworth Gds has not slept properly for months because he hears a low frequency hum that never stops. Environmental health offices have cannot hear the noise. Mr. Noble has been advised that if he can find other people who can hear the hum the council would have a statutory duty to do something about it. Greek Collection: £222 has been raised in Fleet by Greek Animal Rescue a charity that helps care for the sick and injured animals in Greece. Bin Bugs: Councillor Denis Gotel has not ruled out the possibility of fitting bugs to wheelie bins if residents fail to hit tough government recycling targets. Fleet 10K: Phillip Berntsen was first home in a time of 33mins21sec in this years Fleet Peter Driver memorial 10K race. The first woman was Issy Menzies in 38.18. Just under 600 runners took part. Gurkha Barracks Exhibition: Taylor Woodrow Developments are holding a public exhibition on Friday 10th Nov from 4-8pm and Saturday 11th Nov from 10am - 4pm for residents to consider amendments to their plans to develop Queen Elizabeth Barracks. Christmas Scam: Trading Standards have issued a warning to people to be aware of a scam were rouge Parcel Delivery Services post cards through peoples letter boxes to claim that they have attempted to deliver a parcel. When the printed number on the card is phoned the caller can be charged a minimum of £15. Its Bin 5 Weeks: Steve Coward, a former police chief living in Elvetham Heath, is angry that his blue bin has not been emptied for five weeks. Lead Balloon: Fleet actress Raquel Cassidy is breaking all records in the BBC comedy Lead Balloon starring Jack Dee. It has the highest ever viewing figures for a comedy on BBC4 and has now been switched to BBC2. Gurkha Flag Day: A Flag day in Fleet and Church Crookham has raised £2.829 for the Gurkha Welfare Trust. The Gurkha Band will be performing in the Harlington Centre on Dec 2 at 7.30pm. For tickets call Mr. Shoesmith on 01252 621268. Big Blue Bins: The council is concerned that not enough residents are switching to the larger blue bins in preparation for the fortnightly collection service being introduced from 30th Oct. To order a bin call 01252 622122. Costly Case: The cost of legally challenging the Hitchins Lane development has been put well at over £50,000 by Councilor James Radley. He stated the chances of winning are "dreadfully weak"
Denim Collection: Staff from Software Solutions at Ancells Farm have collected more than £400 for National charities by donating £2 each for the privilege of wearing Jeans to work on Genes Day. Guides Raising The Roof; Fleet Girl Guides are applying for lottery money to rebuild their old headquarters at Basingbourne Rd. If successful the new building will be ready in early 2009. 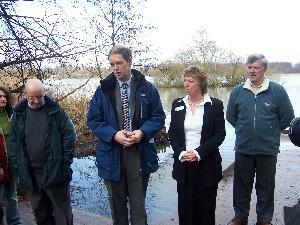 Silting Support: Local MP James Arbuthnot has been invited to address Fleet Pond Society so that they can thank him for raising the problem of silting in Fleet Pond. Mr. Arbuthnot raised the issue in the House of Commons to help persuade The Ministry of Defence to authorize works to install measures to reduce the escape of eroded soils which cause the pond's silt. Dirty Pavements: Local Traders in Fleet Rd are protesting at the lack of cleaning taking place down the High St. They complain of cigarette buts, chewing gum and vomit not being effectively cleared. Petrol Station Robbery: Two teenagers were forced to hand over money and a mobile phone when they were approached by a youth who asked them to exchange a £20 voucher for cash. The boys aged 14 and 15 were walking along Kings Rd near the Murco petrol station at around 8.30pm on Sep 25. Hart Gives Up Fight: Controversial plans to build 300 homes along Hitchens Lane look likely to go ahead after Hart Council decided not to fight a High Court Appeal following legal advice they would lose the case. Real Pub: The Prince Arthur pub has gained an entry in the Campaign for Real Ales Good Bear Guide for 2007. It is the only pub in the town to have been selected for CAMRA entry. Late Pub: Residents are objecting to a bid by their local pub The Flying Goose to stay open until 12.30 Sunday to Thursday and host live music every night from 8pm to midnight. Expensive Pub: Customers are angry that they are being fined £100 for not buying a parking ticket to park in the Emporium's car park. They are supposed to claim the money back when they buy their first drink. The system has been introduced to stop people parking there for free whilst shopping. Top Team: Fleet Town FC are currently top of the Ryman league having collected 18 points from the 7 games played so far. Late Licence Bid: Local traders and residents are fighting a bid from Jaxx club in upper street to open until 2am on Sundays before a bank Holiday Monday. Fleet Eggheads: A team of pensioners calling themselves "Russell's Raiders" are to appear on the BBC2 show "Eggheads" on Thursday Oct 12th. They are members of the U3A which meets at the Harlington Centre. Traders Parking Fury: Fleet Rd traders are fed up of seeing their customers being hit with parking tickets on a daily basis. They have written a protest letter asking for parking restrictions to be suspended until the current confusing signage is replaced by a system which people can understand. Dog Problems: Solicitor Nicolette Pike is incensed by the lack of services provided by Hart Council since Hart's Dog Warden Lynn Byfield has been out of post. She says if you ring the police or the RSPCA they say it is the councils responsibility and the council will tell you it is a police matter. Lynn used to deal with dog fouling and dangerous and stray dogs etc. She has been out of post for 14 months. Jump For Charity: Brain injury survivor Iain Pryer from Fleet has helped raise £2,000 for Headway the brain injury association after a daredevil tandem skydive. Hospital Update: A £250,000 six-month project has updated Fleet community hospital. A new ward with 18 beds has been created. Work is still going on to improve the therapy area and assessment unit. Man-hole Covers To Be Changed: The SE Water board have advised Hampshire County Council that due to operational difficulties in lifting the manhole covers down Fleet Rd pavements they are going to replace the matching paved covers with conventional steel ones. 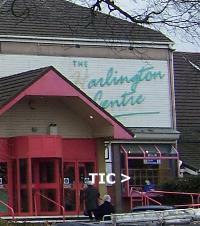 FTCG May Be Replaced: A meeting at the Harlington Centre has sown the seeds for a new Fleet Based Partnership between local community groups and retailers which will replace the existing Fleet Town Centre Group which has never been popular with Fleet Rd retailers. It is possible that the Group could apply for the vacant post of Fleet Town Centre Manager freeing the £16,000 in wages to spend on projects. Best Frontage: W C Baker and Sons have won the Best Frontage award at this years Fleet and Church Crookham in Bloom awards. Full Results. Puzzling Fifth Birthday: Elvetham Heath Primary School pupils celebrated the schools fifth birthday by solving three dimensional puzzles. The school began with less than 50 pupils and now has 430 pupils in 15 classes. Make Your Mind Up: Six children have been allowed to attend Elvetham Heath Primary School after the county council, which had won a court case after a judge ruled that it was right to refuse the children, changed its mind and let them in. Bins Uncollected: More than 3000 bins have not been emptied throughout the Hart area because six of the district councils dustcarts broke down in one day. Flasher Round Fleet Pond: Police are investigating a flasher who has been exposing himself to dog walkers round Fleet Pond. The first report was six weeks ago and there have been a number of reports since. Phone 0845 0454545 if you can help the police. Happy Birthday Your Royal Highness: A 9 year old schoolgirl from Church Crookham has made a birthday card for the Queen's 80th birthday. To her surprise she received a thank you reply from the Queen's Lady-in-Waiting. Rowing Champ: Fleet's Vicki Hansford and her three team-mates have won gold and broke the world record by six seconds at the world Rowing Championships. May Is The Best: Pyestock bowler Leo May has won the Champion of Champions Bowls competition at Worthing. He beat England International pre-tournament favorite Simon Skelton 2-0 in the semi-final and Graham White in an exciting three end tie-breaker in the final. No Parish Council: Councillors have voted by 20 to 4 to throw out the idea of a Parish council in favour of a full parish review. A recent petition covering the wards of Church Crookham East and West and Fleet Courtmoor and collected by the Community Campaign Hart was signed by more than 2000 people. Councillor Sharyn Wheale stated that the whole of Fleet and Church Crookham should be consulted. Hair Cut Sir? : A car driven by an 85 year old gentleman from Kings Rd crashed into the shop window of the Linkway barbers in Linkway Parade. The car missed a little girl by less than a metre. No one was seriously hurt. Views Mugging: Three thugs robbed and punched a teenager walking through the Views Park last Friday at about 1am. The victim was able to give police descriptions of two of the attackers who were both white aged 16-17. One was 5ft 10" tall, average build with a shaven head. He had a round face with a bulbous nose. The other was 5ft 11" tall, slim build with spiky blond or slightly ginger hair. If you can help call 0845045 4545 or Crimestoppers anonymously on 0800 555111. Silting Held Up: Silting in Fleet Pond has been arrested by the Defence Estates Agency who have installed dams, drains and filters. The army maneuvers in Long Valley have been thought to have contributed to the build up of silt in the pond which had resulted in reducing the depth of the water to less than a metre in places. Golden Bin: Mrs Ann Gotting of Fleet has won first prize of £100 in the Hart District Councils "golden compost bin" competition. The competition was open to everyone who bought a cut price compost bin between 7th and 14 May. Youths Charged: Four teenagers have been charged following a robbery at the Murco petrol station in Kings Rd on August 16. Costly Parish Council: Residents calling for a Parish Council to be formed in the Church Crookham and Courtmoor areas have been warned by County Councillor Peter Hutcheson that they would be hit hard in the pocket. The petition calling for a parish council will be considered at a full meting of Hart District Council this Thursday from 7pm at the Civic Offices in Fleet. Take Hart: Hart has been rated second only to Elmbridge in Surrey as the best area to live in terms of "quality of life". Top Film: A short film called "Stick Guns" made by Dave Tucker of Fleet and shot entirely in woods close to Elvetham Heath was one of only two selected to represent the UK in the Los Angeles Film Festival. New Parking Charges Planned: Plans to introduce parking charges to Harlington Way have been critisised by Conservative Richard Appleton. He said that the change must not proceed without taking steps to protect nearby roads from increased parking. Plans to introduce parking charges along Elvetham Heath Rd have been scrapped. Enough Pubs: Police have stated that Fleet has reached saturation point as far as drinking licenses are concerned. The claim was made during an appeal into plans to turn the Help the Aged shop in Fleet Rd into another pub. End Of Tourist Office: The Tourist Information Centre (TIC) situated in the Harlington Centre has been identified as a service that the Council is not required to provide and one that does not match any corporate priorities. Therefore, since Hart District Council does not have a particular strong tourism industry and the income generated has not met the operating costs of the service for some years, the decision has been taken to close the Tourist Information Centre in Fleet on Friday 22nd September. Parking Appeal Accepted: Paul Burch challenged a parking ticket given to his wife Valerie because the Application Code was incorrect and the words "Loading Only" must be painted on the road. He also pointed out that such a restricted parking place requires a yellow kerb line and a yellow "No Parking" prohibition notice, neither of which were in place. Hart District Council has waived the penalty as "a gesture of goodwill". School May Be Overlooked: The governors at Heatherside Infants School are horrified that a new development of retirement cottages would overlook the children's playground. New TCM To Be Appointed: The Hart Council has overwhelmingly passed a motion to urgently find a replacement for Sue Collen who recently resigned as Fleet Town Centre Manager. Sea Turtle Project: Sam Allen is leaving home for a voluntary placement in Colola, Mexico to help with a Sea Turtle Project. She is trying to raise the £1,500 needed to pay for the trip. Sam is studying "A" levels at The Sixth Form College, Farnborough. Fleet In Gloom: Fleet is getting set for a summer without any flowers. It was decided that because of the water bans in force it would be too expensive to provide planters with special water containing compost which would deliver water gradually over a period of time. Cllr Gotel, Fleet's Cabinet member decided to order artificial flowers but upon further inspection decided they were not satisfactory. He has now decided to "kick the idea into touch" and stay with an uncluttered Fleet Rd for the summer. Chemical Alert: An ambulance and fire engines were called to Hart Leisure centre after a chemical had leaked over the duty manager. He was taken to casualty but later returned home. Full Marks: Fleet Infant School was judged "outstanding" in all seven categories after Ofsted inspectors visited the school for two days last month. Dream Come True: Fleet based 16 year old goalkeeper Neil Etheridge has signed professional forms for Premiership club Fulham. Town Centre Manager Resigns: Sue Collen the Fleet TCM has resigned after meetings with Hart District Council. She issued the following statement "It was with a heavy heart that my letter of resignation which detailed my reasons for leaving was delivered to Hart District Council last week, and resulted in a meeting on Monday 10th with Viv Evans and Matthew Evans of the Hart District Council." Sue had been so successful as town manager that her two days a week contract had been recently increased to three days a week. She introduced Farmers Markets to Fleet on a regular basis and also staged very successful Fleet Christmas Festivities in November, She was also responsible for improving the quality of Fleet's Christmas lights. She worked hard for the town her motto being "Putting Fleet First". She will be sorely missed. The reason for her resignation remains a mystery. Taxi Threat: Four men who used a Fleet taxi to go from Fleet Rd to Basingbourne Road tried to make of without paying. The driver managed to grab one of them and a scuffle broke out. One of the men later threatened to stab the driver with a knife. Victoria Rd car park landscape has been given an oriental touch with the planting of several Gingko biloba trees to replace Poplars which had been recently felled. Long Life: Hart has been placed third in a study to determine the ten areas with the highest expectancy of life in years. It was beaten by East Dorset which was first followed by Kensington and Chelsea. The current employment rate in Hart is 82.6%. The study was published by the Charted Society of Physiotherapy. CABs Merged: Fleet and Yateley Citizens Advice Bureaux have merged to become Citizens Advice - Hart District Limited following a cash crisis. Pop Video Success: Fleet's Leigh Nicholson has become a success in the video "I wish I was a Punk Rocker" which has shot to number 2 in the charts. Parish Council: Two thousand residents in the Church Crookham and Fleet Courtmoor wards of Hart Council have signed a petition, collected by members of the Community Campaign Hart group, to be represented by a parish council. The council will now consult with every resident in the ward. Hart Conservative leader Stephen Gorys warned that this process could cost an estimated £77,000 pounds. Kenyon Eye Charity: The Rotary Club of Fleet have collected £1024.55 to be given to the Kwale District Eye Centre on the Kenyon coast of Mombassa. Executive Jailed: Laurence Ford of Old Cove Rd, Fleet has been jailed for 6 years for his role in a major money laundering scandal. Dumped In Fleet; Paul Archer, Hampshire County Council's head of waste management has said that to solve major problems at Farnboro's Eelmoor Road tip, a long term solution would be to find an alternative site in the north of the county, ideally in Fleet. New Rotary President: John Burton has become the new president of Fleet Rotary Club. John who joined the club in 1999 is a steward at Fleet Methodist Church, a volunteer driver and treasurer of the Crookham Village Association and Crookham Village Twinning Group. Shop Of The Year: Fujifilm Image Service in Fleet Rd has won a Gold in the annual Fujifilm Awards and then went on to win the Store of the Year award. Manager Phil Dodd who took over the store a year ago said "we are constantly trying to add value to the service we offer and feel a great sense of pride in winning this award. Calthorpe's Ballet Star: Pupil Henry Paerkins has been accepted by the Bolshoi ballet. He will leave in Sep to train for 4 years with the world famous school. Crèche Closing: The Abacus play centre inside Hart Shopping Centre will close down on June 30th. Police have issues this E-Fit picture of the man who they wish to question with regard to an incident at the Hart Leisure Centre when a seven year old girl was grabbed in the communal changing rooms. The girl managed to escape. Anyone with further information should call 0845 0454545 or Crimestoppers on 0800 555 111. Water Leak: Water has been oozing out of a leak and pouring along Bourley Rd in Church Crookham. It was reported to SE Water on 11 may by Lee Cobb who first though the flooding was being caused by heavy rain. It has still not been repaired and its ironic that at a time of draught and hosepipe bans so much water could be wasted. Good News: The News has been named Regional Newspaper of the Year at a ceremony in London. The competition recognises excellence in newspaper production. Closing Down: Abacus crèche in the Hart Shopping Centre is to close down next month after four years. All Over: The controversial Fleet Rd improvements have been officially declared "over". The £3.6 million improvement scheme has upgraded 700metres of road and pavement and also extended and upgraded Victoria Rd car park. Biggest Catch Ever: Fleet angler Graeme Pullen and his friend Peter Scott together have caught the biggest porbeagle shark ever found. It weighed 550lb and was caught of the coast of Bude in Cornwall. Oh No Not Again: Once again the council are planning to cause disruption of traffic along Elvetham Heath Rd. They are planning to introduce on-street parking on parts of the road. This will not only cut drivers speed but alleviate parking problems at the Church Rd surgery and hospital and also at the Railway Station. It will cost £1 for 2 hours, £2 for up to 4 hours and £3 for more than 4 hours. Warning To Parents: A seven year old girl was grabbed by a man in the communal changing rooms at the Hart Leisure Centre. She managed to pull herself free. The police have asked for vigilance from the public. Anyone with further information should call 0845 0454545 or crimestoppers on 0800 555 111. School Award: All Saints School is one of the first schools to gain the prestigious new Information Communication Technology Mark which is awarded by Becta the governments lead agency in education. Headteacher Janet Roberts said she was delighted and represents our approach to ICT. Hague Visits Fleet: Former Conservative leader William Hague visited Elvetham Heath and Glen Rd close to the centre of Fleet where residents have bee plagued by late night drinkers. Former President Dies: Former Fleet Chamber of Commerse president Chris West has died peacefully at his home. Sam's Film Wins Award: Former Church Crookham schoolboy Sam Rogers reached third place in the finals of the CobraVision Awards - the worlds shortest film competition with his entry called "Stuffed"
Bye - Bye: Sean Holden Council member for Fleet West is stepping down and moving to Kent. Richard Hunt is also stepping down as member for Fleet West. Both were Conservatives. New York Turned Down: Fleet actress Raquel Cassidy has turned down a weekend in New York to represent her new film "Festival" because she promised to take part in nine-year old Aliesha Oedra's play "Love or Death Watersyle" in London. Racecourse Fire: An historic building at Tweseldown Racecourse has burned to the ground. The fire started in the canteen. The possibility of arson is being investigated. Plan Thrown Out: Hart District Council have rejected a plan to knock down a property at 29 Basingbourne Close and build a four bedroomed chalet style home. Cars Vandalised: About 15 cars have been vandalised whilst parked in Glen Rd, Connaught Rd, Stanton Drive, Ferndale Rd and Albert St. Contact 08450 454545 if you can help police. Tributes to Fleet Footballer: Michael Ritchie, 28, who died after losing control of his car and colliding with trees in Ewshot has been paid many tributes by family and friends. Michael was a striker for Fleet Spurs. He grew up in Fleet and went to Calthorpe Park School and Farnborough Sixth Form College. Use Or Lose Bus: A long awaited bus route, No 79, between Yateley and Fleet has been officially opened but comes with a warning by Edward Dawson, chairman of the Yateley town centre management group, who said "Its not subsidised by the council. Its a private venture and therefore may stand or fall depending on its use." Enough Is Enough: Fed up residents of Elvetham Heath estate are campaigning for action to stop teenager antisocial behavour which they say they have suffered from for years. They have sent emails to leading Hart District Councillors. They say escalating problems caused by drug taking, drinking, car racing, loud music, swearing, abuse, theft, damage and fires have gone far enough. Hosepipe Ban: SE Water have imposed a hosepipe ban for domestic uses in the Hart area. It is the first ban for 11 years. Wider Bridges: Soldiers from the Royal Engineeers have offered to help widen two bridges at Fleet Pond. 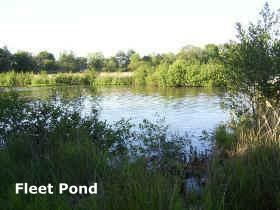 They have offered to re-build the Brookly and Carnival bridges, construct a fishing jetty and fence off marshland. Teenager Attacked: An 18 year old has been attacked outside El Castello restaurant in Fleet Rd. One of the attackers was white, of slim build aged 18-22 wearing a dark blue top, dark jeans and white trainers. The other was of dark European appearance, similar in age and build with black spikey hair and wearing a black jacket and trousers. If you can help police with their inquiries phone 0845 0454545 or Crimestoppers anonymously on 0800 555111. 5 Second Wonder: Sam Rogers new five second film called "Stuffed" is in the final 20 films of the worlds shortest film competition CobraVision to be held in London on 24th April. Sam is from Church Crookham. Parents Victory: Parents with children living on the Elvetham Heath estate have forced Hampshire CC to allow their children to enroll at Elvetham Heath Primary school have been initially told that the school was full and they must go to Tavistock Infants school. MP Opens Wetland: Velmead Junior school children have spent the last two years clearing an acre of scrubland in the school grounds to reveal an area of unique wet heath land. The site was opened by James Arbuthnot who praised the school's achievement. 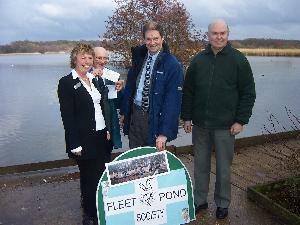 Local MP James Arbuthnot has handed over £1,000 to Fleet Pond Society on behalf of Cayo Foundation. The cash will help replace the societies elderly tractor. Princely Night Out: Prince William visited Fleet on Tuesday. He enjoyed a meal at We Restaurant before going for a drink at the Propaganda Music Canteen in Fleet Rd. High Street Closed: Fleet Rd is to be closed from 3 - 24 April to enable the current road improvements to be completed. Final completion is expected by the end of April. Four Years On: Police are still conducting the investigation of Milly Dowler who was found dead in Yately Heath Woods four years ago. It is one of the largest operations in the history of Surrey police. Half Marathon: Toby Lambert of Alton Runners has won the this years Fleet half marathon in a time of 1hr 18min 47 seconds. Grandad Ted O'Toole won the men's over 70's category. Ted from Fleet who has competed in all 25 marathons took 2hrs 32seconds to complete the course. First woman home was Debbie Coslet in 1hr 18min 47sec. Still Richest: Channel 5 news today compared Fleet with Liverpool in regard to the difference in affluence stating Elvetham Heath is the richest place to live in England. Top School: St Nicholas School is one of only five schools in the country to achieve a 100% GCSE pass rate. It is also top of the county league table. Hitchens Lane Appeal: Hart District Council has appealed to the High Court against Deputy Primeminister John Prescott's ruling that 300 homes could be built on land at Hitchens lane. First Film: Former Fleet schoolboys Rob Weston and Byron Valsey are planning to make a horror film "Gnaw" in April. Percussionist Picked: 13 year old Fleet teenager Ralph Wyld has been picked from hundreds of contestants to join the National Children's Orchestra of Great Britain for the third year running. Tony Replies To James: As promised Tony Blair has replied to James Arbuthnot's question to him at Question Time regarding the development proposed for Hitchens Lane . He said that the Hitchens Lane decision was subject to legal challenge so he was unable to comment further. He added that the government thought it important to fund new infrastructure to support new homes needed for the next generation. and that funding would need to come from a variety of sources including developers. All Change At Oasis: David Parry has decided to retire from his flower shop in Fleet Rd and has handed the business over to his manageress for the last ten years, Gill Chilton. He said only Wrights next door and Bakers over the road are still here from the time I opened in the shop in 1982 the rest has all changed. Eclipsed: Mark Lanes and his son Tim are going to drive 5,000 from Fleet to Turkey to see a total eclipse of the sun. The journey through Belgium, Germany, Australian Alps, Croatia and Bulgaria will take three weeks. Fleet Cricket Courses: Simon Massy will soon be running cricket courses at Fleet CC for youngsters aged from 6 to 13. To book call Simon on 01252 661416. Bridal Window Smashed: Yvette Morrison faces a bill of £2,000 to replace a large window at her shop - Smartlady- in Albert St. The window had been smashed by vandals on Sat morning when a local resident heard glass being broken. Fleet Hospital Improvements: Builders have started work on improvements to Fleet Hospital. Builders will initially concentrate on the improving Calthorpe Unit and then work on the therapy area and day assessment unit. The work will take 4 months to complete. Breathing Easier: Fleet Breathe Easy Group has bought pulse oximeters to be used by Fleet hospital and main GP practices in the area. The group who support anyone with chronic breathing conditions meets on the last Friday of every month at Velmead Centre on the Zebon Copse. New members are welcome and should call 01252 845142 for more information. Inquiry Delayed: The public inquiry into the homes development on the QEB site in Church Crookham has been delayed until Spring 2007 at the request of Taylor Woodrow and the MOD. Mark's Bronze Medal: Calthorpe Park pupil Mark Cappleman has won a bronze medal for England competing in the Eight Nations badminton tournament in Denmark. Mark is coached by Benny Khaw. UNICEF Award: Tavistock Infants School has become one of the first schools to gain a UNICEF award by learning about the United Nations Convention and the rights of the child. Hospice Cash Gift: Fleet and District Choral Soc have donated £1,700 raised from its successful Christmas Concert to the Phyillis Tuckwell Hospice. Anthony Meets His Heroes: Fleet Spurs u10's goalkeeper Anthony Jones's dreams came true when he led out Reading's team for their home match with Southampton. He had a fantastic evening topped off when promotion contenders Reading won 2-0. Beach or Christmas Tree: Every year The Fleet Rotary Club install and decorate a Christmas Tree in Gurkha Square as part of the celebrations. 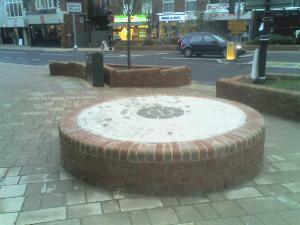 The Council have dug up trees in flower beds either side of were this tree is put. The Rotary Club have asked the council if they could put a Christmas tree in place of one of the two beach trees. This would save the cost of a new tree every year and save three parking spaces during Christmas. The council has refused. Army Fund: A collection for the Hampshire committee of the Army Benevolent Fund at Morrisons in Elvetham Heath has raised £590. Top Marks: Stockton House independant school has gained top marks in all categories in an Ofsted report. The staff celebrated with Champers. Fleet Pond Cash: Farnborough Airfield operator TAG have set up a fund worth more than £40,000 to pay for Fleet Pond Nature Reserve improvements. Every time a plane takes of a contribution is made. Outstanding Pub: The Emporium has won Greene King's division sales award for outstanding growth over the past year. Pub managers Richard Hailwood and Jenny Rice accepted the award at a ceremony at the Alton Towers hotel. Crack Den Raid: A house in Meadow Walk was raided following a tip that the house was being used for drug dealing. A 38 year old woman and a youth aged 18 have been charged with supplying drugs. The house has been boarded up. End Is In Sight: Fleet Rd contractors have stated that the High Street roadwork's will be complete by the first week in May. Prime-Minister's Question: Local MP James Arbuthnot raised the issue of additional housing in Hitchins Lane by asking the PM, during PM's Question Time, if he was aware of John Prescott's decision to allow 300 new houses to be built in an area already suffering from very low water levels and severe service problems due to increased local housing. Tony Blair said he was not aware of the problem in Fleet but would look into it and write to Mr. Arbuthnot. Another Horse Attack: Sid Evans has been attacked by a horse near to playing fields in Church Crookham. It ran at him from about 40 feet and then head-butted him. He landed on his head which prompted the horse to stamp on his back before running away. There have been three attacks recently. Local MP James Arbuthnot is making inquiries by writing to Hart District Council. Calthorpe Park 1976 Reunion: A committee has been formed to organise a giant summer reunion of old pupils which attended the School 30 years ago. About 100 former pupils have already been traced. The plans are on view at www.calthorpe-reunion76.co.uk or call Kristina on 01252 615906. Help From SID: Speed Indication Devices (SID) have been fixed to lampposts along Elvetham Heath Rd. They will monitor, record and flash the speed a motorist reaches whilst travelling along in the hope that they will slow down. Free Parking: A new car park has been opened in Branksomewood Rd which provides 18 additional 30 minute free parking bays with two extra spaces for disabled drivers and a goods vehicle loading bay. Ratre Bird: A rare bird of prey was seen at Elvetham Heath nature reserve. Called a Hobby it is small and feeds on large insect and small mammals. There are only an estimated 500 - 900 breeding pairs in the UK. Waste Not Want Not: From Autumn 2006 The Hart District Council will collect non-recyclable household waste one week - and your recyclable materials the following week. Garden waste will continue to be collected fortnightly. Larger 240 litre blue bins will be available if required by applying to the council. Hitchens Lane U Turn: Berkeley Homes have been given the go-ahead to construct 120 homes at Hitchens Lane. This number could rise to 300. John Prescott had initially vetoed the development but this was challenged by Berkeley on a point of law. As a consequence John Presscott finally gave the permission for the houses to be built. Yateley To Fleet Link: Countrywide Travel plans to provide an hourly bus service between Fleet and Yateley with stops at Cricket Hill and Gibraltar Barracks. The service is to be reviewed after 6 months to see if it is paying its way. Tumble Drier Fire: Children had to be evacuated from the ABC Kindergarten in Clarence Rd after a tumble drier burst into flames. Falling Scaffolding: Luckily no one was hurt when three storeys of scaffolding outside Austin House in Upper Street collapsed onto a delivery van. An HSE spokesman said "We are looking at the adequacy of how the scaffolding was secured to the building". New Book From Local Author: Malcolm Noble is to release his new novel "Piggy Tucker's Poison" next month (Feb). click here for more information. Malcolm wishes to thank his local readership, especially those who have borrowed his first two titles from local libraries. One Council Too Many: Hart District and Hampshire County councillor Peter Hutcheson is to step down from his Hart Council role in May having represented Church Crookham for 20 years. Peter said "As the county role becomes more demanding it is time to make way for someone new so that I can give more time to the task of representing you in Hampshire. Reward: Sandy Lane garage owner Alan Jaymes is offering a reward of £250 to catch the firebug who destroyed a £3,000 MGB and caused £2,500 damage to two other cars. Contact Yateley police station on 0845 045 45 45 if you can help. More Free Parking: A council cabinet meeting decision has been made to increase the number of short term free spaces in Fleet Town Centre by 24. In addition evening parking in Church Rd will also be free. Max's Brave Website Diary: Church Crookham teenager Max Horwood, 13, is to receive a bravery award after capturing worldwide attention with his website diary. Max started the site after being diagnosed with chronic myeloid leukemia in 2003. 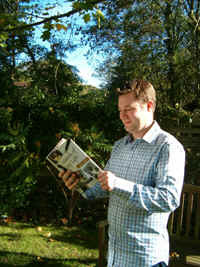 The diary has been visited by many celebrities including Will Carling and Richard Hill. He is receiving the award for "stoicism in dealing with the challengers he faced" and will receive a trophy and a certificate signed by Kylie Minogue plus a family cinema Ticket. New Arts Centre: The Bishop of Guildford, the Rt Rev. Christopher Hill, has blessed a new creative arts centre at the All Saints School in Fleet. The new facility, which has cost £118,000, has been named after Headteacher Mrs. Roberts who has been at the school for 15 years. Fleet FC Lose Local Derby: Fleet Town FC put up a brave fight in front of a crowd of 555 at the Aldershot Rec but lost 3 - 0 to a fitter and quicker team. The Hampshire cup quarter final game was dominated by Aldershot in the first half with goals from MOM Garry Holloway (8mins) Ahmed Deen (21min) and Tim Sills (30 min). The second half was more even with both teams coming close to scoring. Fleet started to tire towards the end of the game but valiantly hung on to a second half 0 - 0 draw. Aldershot now play Basingstoke in the semi - final. Roadworks Go On: Fleet Rd will be one way between Victoria Rd and Birch Ave as the roadwork's resume after the Christmas break. Fleet Rd will be closed between Victoria Rd and Birch Ave for about three weeks in March and April whilst a new road is built. Call David Stokes on 07748427168 for more details. Load Of Rubbish: Complaints have been made about the bin collection day during the festive period. The council put an advert in a local paper listing collection times but Church Crookham residents say the information was wrong. There were also complaints that the paper was only read by less than half the local population. Tragic Fire: 75 year old Pensioner Colin Denby was found dead at his house in Aldershot Rd after firefighters went to the house following reports that smoke could be seen inside. The fire is not been treated as suspicious. Bricks For Sale: Elvetham Heath's church minister the Rev. David Price, has launched an appeal to help pay for the building of the Church on the Heath overlooking The Key. Anyone who would like to buy a brick at a cost of £5 should call the Rev. Price on 01252 695067 or visit the De Havailland Arms. Dog Trek: Church Crookham Grandmum, Linda Williams, is preparing for a six day husky dog trek through Norway and Sweden in April to raise money for the International Fund for Animal Welfare. Sponsors should call 07919 173562.